Confession: I once was a streaker. A RunStreaker, that is. I ran every day for 425 days in 2011-2012. I started the RunStreak because at the time, running had started to feel like a chore. I’d lost the joy of it. Oddly, by forcing myself to run every day, I fell in love with running again. The routine, the consistency made running what it should be: a non-negotiable part of life, like breathing or eating. However, my RunStreak came to an abrupt end on October 8th, the day after the 2012 Chicago Marathon. I could barely get out of bed. Walking was challenging enough. Running was out of the question. The RunStreak was dead, but I had hope that it would get resurrected. After missing qualifying for Boston at Chicago, I decided to do the California International Marathon in December, to try again for my BQ time. Alas, my plans were blown off course by the weather on race day: monsoon-like rain and winds. After two marathons in eight weeks, I needed a break from running, both physically and mentally. The RunStreak was gone for good. 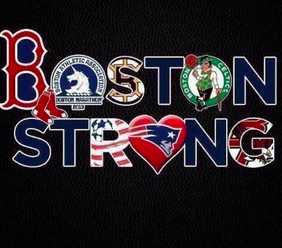 On Monday, April 15, I spent Patriots Day as I always do, watching coverage of the Boston Marathon. It was a bit sad for me, since I’d come so close to being there myself, but it was also inspirational, as watching a marathon always is. Boston means more to me than any other marathon. I lived on or near the course for many years. In fact, the route goes right past my old house, where I used to stand every year, cheering. Once we moved to Chicago, watching the marathon online was my yearly way to reconnect with home. I love watching the coverage of the lead pack as they go by my old haunts. “Hey, there’s the grocery store! And the library!” I get a thrill seeing the mundane yet familiar places. I used to stand on those streets and cheer alongside the masses, but now I stand alone in my kitchen and watch a small screen on my computer. Marathon Monday is the one day each year when I am guaranteed to be homesick. After the elites finished on Monday, I was inspired to go for a run. When I got back, I sat down at the computer to check runner tracking and locate friends running the marathon. One of them had just finished. Another was still out on the course. But he wouldn’t get a chance to finish, stopped by race officials a half-mile from the finish line following the explosions. The next day was full of questions: Who did this? Why? What do we do now? In the running community, the answer to that last question was clear: go for a run and wear a race shirt in support of those in Boston. 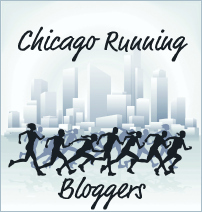 I donned my 2012 Chicago Marathon shirt and went out to join the world in the virtual run of support. Then on Wednesday, it seemed wrong not to run. After all, these were my people who had been attacked – my fellow runners and their friends and family. It somehow felt important to run, to show solidarity. That’s when I realized the RunStreak had been reborn. On Thursday I went for a run, but the weather in Chicago was stormy, so I did my bare minimum of one mile. After I got home, I had a nagging feeling that something wasn’t quite right. That’s when I realized that for this RunStreak, the minimum needs to be three miles, in honor of the three victims. I put on dry clothes and went back out to tack on two more miles. And so this is my Boston RunStreak. Three miles. Every day. Don’t worry, I’m not asking for money, although it you’d like to make donations to One Fund Boston, go for it. Personally, I plan to donate a dollar for every mile covered on the RunStreak. The last time I did a streak, it lasted for well over 1000 miles. Of course, I have no idea how long this one will last. Ideally, 175 days, one day for each of the people injured on Monday. Then again, a RunStreak is a delicate thing. I could end up with an injury and a broken streak tomorrow. But for now, this is my pledge. I will run three miles every day for Boston. Want to join me? « Making It All About Me. And You, Too. Great way to take this tragedy and look at in a positive way. I hope your story inspires others in some way. Good luck! i’ll be cheering for you! keep healthy! I usually don’t blog about major events like these. I guess I spend my time thinking about and processing them while someone else writes about them first . I like the angle Sue writes from.Enjoy.